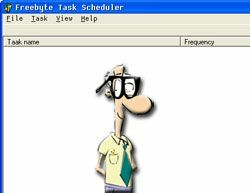 Freebyte Task Scheduler is a simple portable 219KB download, with no installation required (Windows only). It is an alternative task scheduler to Windows Scheduled Tasks which you can use to schedule any script, program, or document to run at a time that is most convenient for you. Scheduled Tasks starts every time that you start Windows XP and runs in the background, and it starts each task that you schedule at the time that you specify when you create the task. 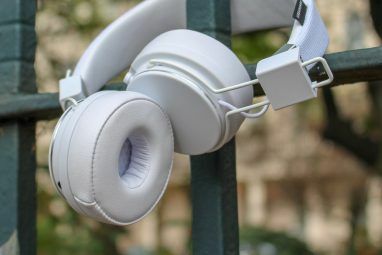 You might be asking yourself why you would want to replace something that you never use? The answer should be because this is easier to use and you can bring it to any Windows machine you are working on. Just open up this program by double clicking on it. To add a task you can either hit the icon on the bottom with the Plus on it or go to the Task Menu and choose “add”. You can see your other options here as well. After pressing the “add” button you will see the Task Setup screen as show below. Here is where you tell FreeByte what you want it to run and when. I normally create a “*.bat” (Batch File) listing the commands I want run. But you can just as easily have it open up Word or Outlook at a specific time. You can have it launch your backup software or copy files from point A to point B. When you are done, close it down and take it with you on your memory stick or save it in the cloud that is the internet. You will notice the options are almost identical to the Microsoft Scheduled Task options and I know a lot of MakeUseOf readers hate Microsoft so here is yet another Microsoft replacement! Do you use scheduled tasks? What do you accomplish with them? Got any tricks to share with our readers? Have some crazy custom scripts or a favorite portable application? Share them with us in the comments. Put us on! Explore more about: Portable App, USB Drive, Windows Task Scheduler. tech support person. I should add to my list of advises the great use of task schedulers.